WASHINGTON, -- US Defense Secretary Ash Carter has unveiled the Pentagon’s plans to deploy advanced weapons, including the newest stealth destroyer, near the borders of China. During his visit to Singapore on Sunday, Carter named new weapons systems the United States plans to move to Asia as "part of its longer-term rebalance of military assets to the region," The Wall Street Journal reported on Sunday. Among the weapons is the military’s newest stealth destroyer, the Zumwalt. 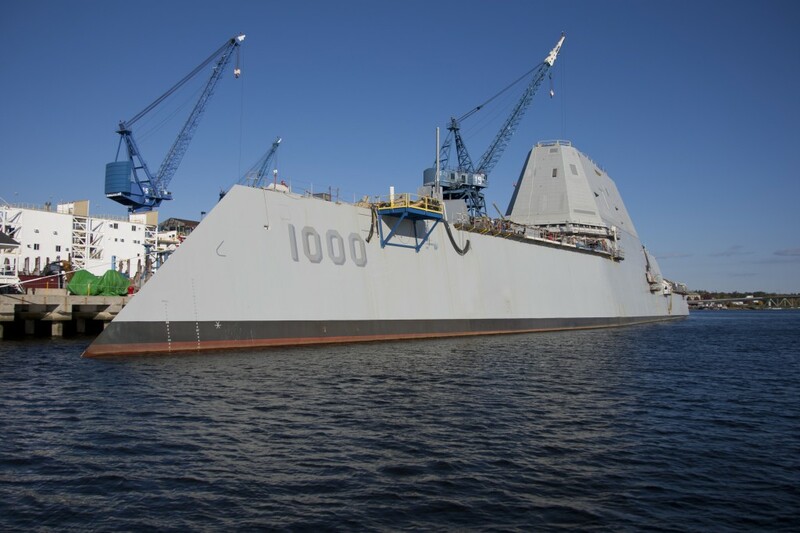 The 610-foot-long Zumwalt is named after the late Admiral Elmo “Bud” Zumwalt Jr. It will have nearly 10 times more available power than its predecessors. The vessel could become the first ship carrying next-generation weapons like electromagnetic railguns, which use a strong electromagnetic pulse, rather than gunpowder, to shoot projectiles. Washington is stepping up its pressure on China after Beijing decided to build artificial islands in the South China Sea. China has warned that coming too close to the islands would be provocative. Chinese Foreign Ministry spokeswoman Hua Chunying expressed concern over US plans to bolster its military presence in the Asia-Pacific region. Last week, Pentagon spokesman Col. Steve Warren said China placed two artillery vehicles on the islands several weeks ago. Warren made the comments after unnamed US officials told The Wall Street Journal that the surveillance imagery detected two Chinese motorized artillery pieces on one of the islands. The USS Zumwalt (DDG-1000) guided missile destroyer of the United States Navy floated out of dry dock at the General Dynamics Bath Iron Works shipyard.